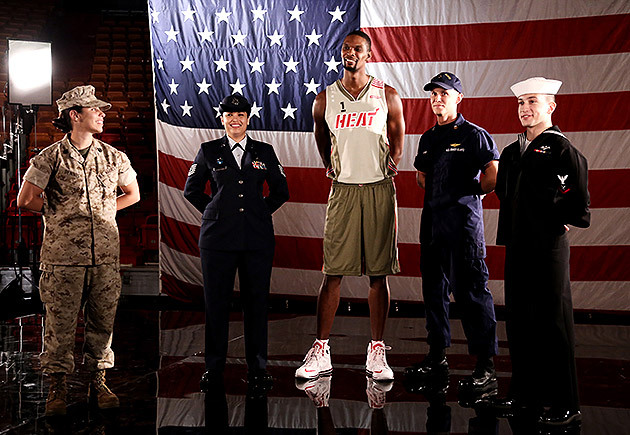 The Miami Heat have taken their Home Strong program to the court with a new military-style alternate uniform we’ll see three times the week of Veterans Day. Designed by the franchise’s in-house artists, the Home Strong uniforms use a light base with military green aplenty and red and white accents. The jersey top uses a stencil-style number on the front and back with green, red, white and black striping on the sides. The nameplates have the sewn-on look of a military uniform. White stars run up the right side near the shoulder and red and white horizontal stripes cover the left shoulder. The Heat logo appears in red with a white outline. The largely green shorts have striping on the side. 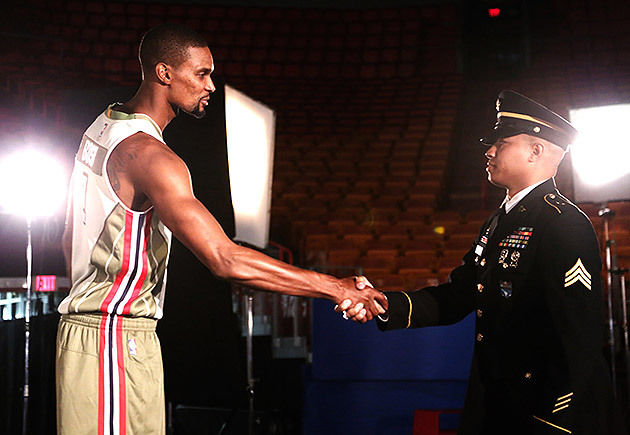 Heat president Pat Riley started Home Strong in 2006 as a way to show appreciation to veterans and soldiers. Up until now, the program has honored veterans in the families for 369 consecutive home games during pregame festivities, distributed 5,000 care packages to soldiers and partnered with the military to help rebuild the homes of veterans. 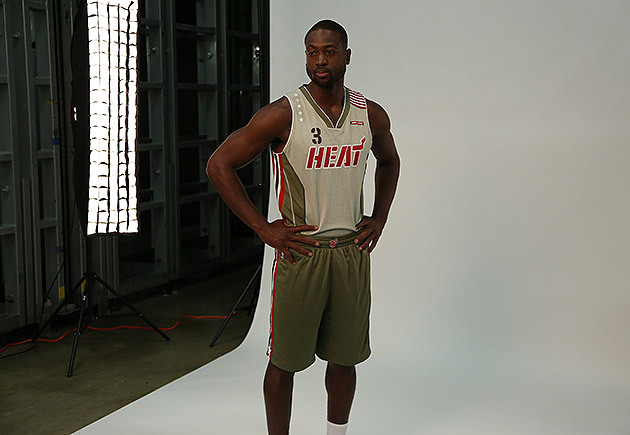 The new uniform, based on a mixture of a variety of United States’ military uniform designs, will appear on the court on Nov. 8 against Toronto, Nov. 10 against Los Angeles and Nov. 12 against Utah.